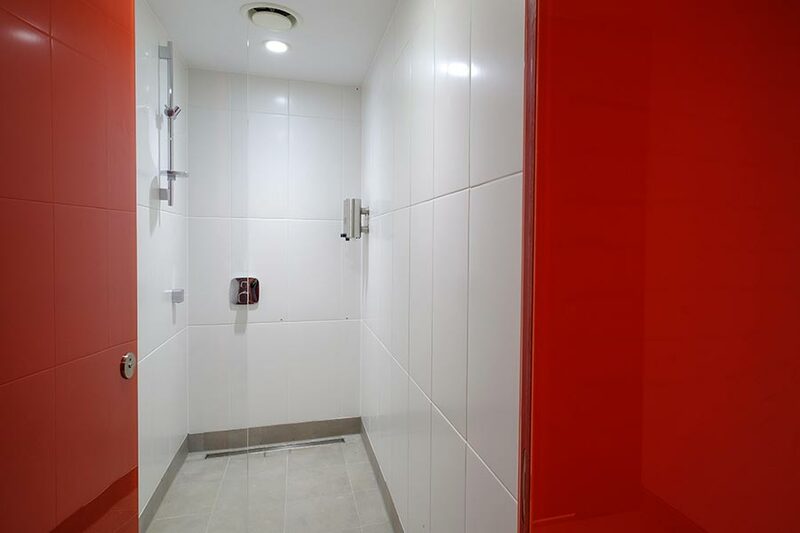 Our glass iLockers and full height Alto Kristalla shower cubicles combine to provide a colour co-ordinated, high specification finish for a new office shower and changing area in the City. This new 420,000 square foot, 15-storey retail and office will become the new London base of Italy’s largest insurer. It features a stunning publicly accessible roof garden, providing an urban oasis in the heart of the City complete with spectacular views of London on all sides. The whole interior of the building has been finished to an exceptionally high standard and the four-storey basement area has had exactly the same treatment. Here we designed, manufactured and installed new washrooms along with a shower and changing area for staff. 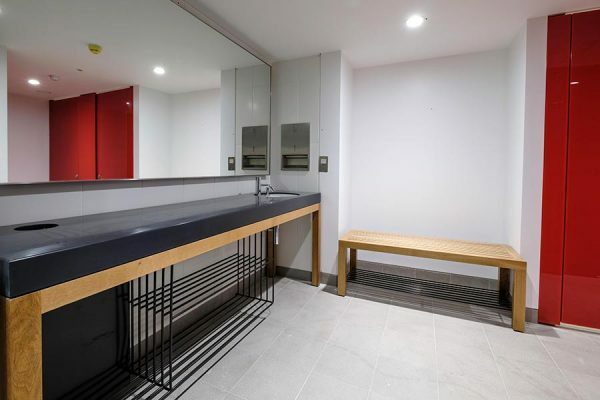 The result is a bright, high-end changing area that would not look out of place in a luxury leisure club, offering plenty of space for office staff to relax and unwind post workout. To create a finish unique to 10 Fenchurch Avenue, we installed our Alto Kristalla glass shower cubicles, which were back-painted in a striking bright shade of red. The full height cubicle doors, manufactured with 6mm toughened glass to the face, feature rebated edges to create a flush front façade. Behind each door lies a spacious, fully tiled shower room with glass screen and dry changing area to provide office staff with complete privacy. 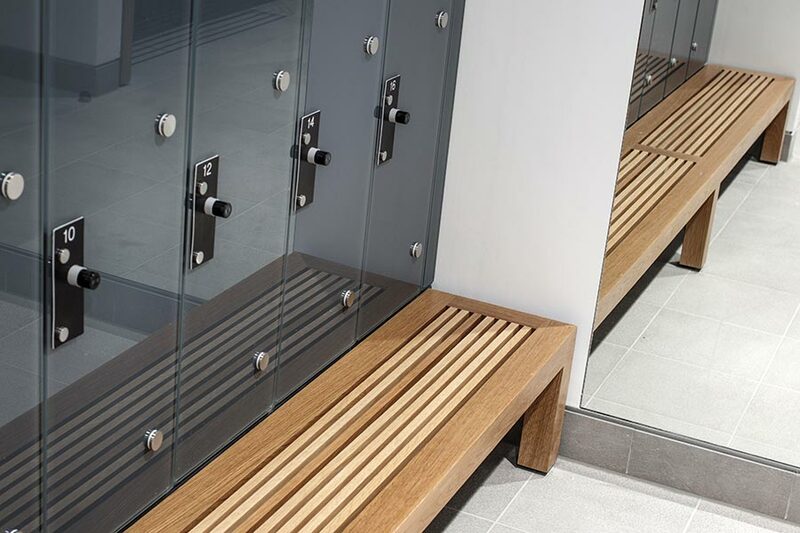 Completing the luxurious changing room area, we designed and installed Legato benching with oak hardwood slats which complement our glass iLockers which were manufactured using toughed glass, back-painted in a distinctive Iron Grey colour. 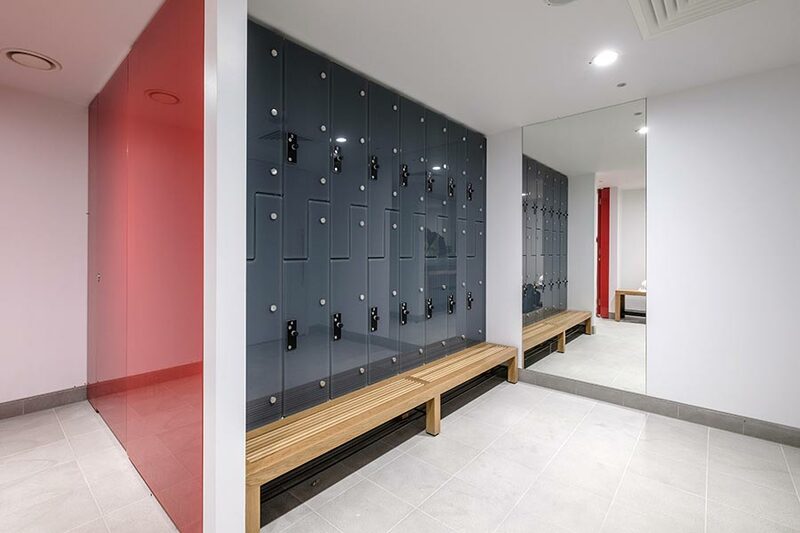 We designed the lockers around a Z-style configuration to comfortably accommodate a suit, making them ideal for office staff, while maximising the available space to provide as many lockers as possible for staff use. In addition, we installed our full height Alto Kristalla toilet cubicles and for the vanities, we designed and manufactured bespoke Corian vanity tops complete with a solid oak hardwood frame to match the Legato benching. Solid surface Corian, which is highly durable and hygienic making it ideal for a busy office washroom, can be specified in a huge range of different colours; the dark grey shade here was chosen to complement the grey of the iLockers.